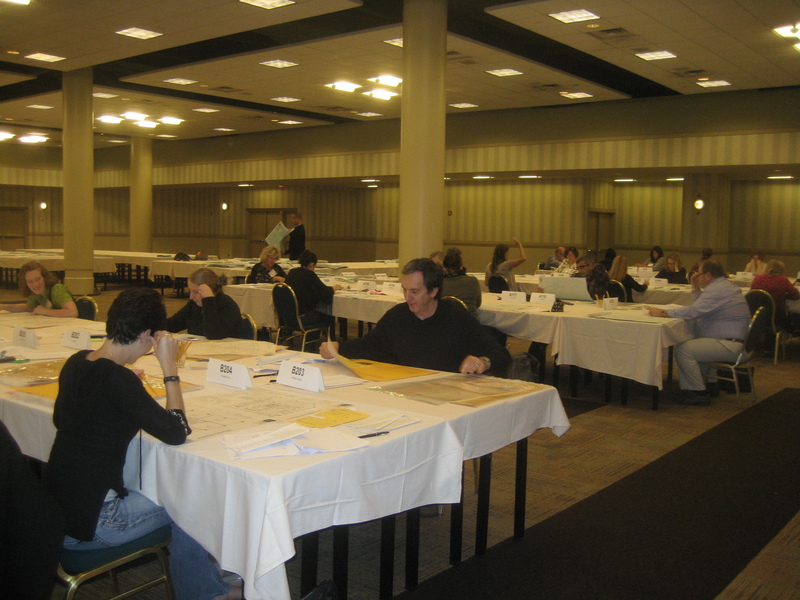 PROFESSIONALINTERIORDESIGNER is proud to have just completed his 3rd in a row NCIDQ grading session. As an ID instructor it is important for me to keep up with the exam and the process. As an ID Blogger it is even more important that I participate and contribute to the development and advancement of the profession. I liken it to not voting and then sitting around and bitching about the president. Not voting is a free choice. Complaining about the results however is unacceptable. So with that I donate about 4 days of my time to travel to Dallas, take a pre-test of next year’s exam, grade for 2 1/2 days and then travel back home. The folks at NCIDQ have my admiration for the job they have done to re-engineer the exam to be more pertinent to issues of construction, health, safety,welfare and industry practice. They also do an amazing job with the logistics of the exam to make sure the process is fair, consistent and rigorous. Many complain about the exam. I find most of those folks are basing their opinions on the old exam or even heresy. Others simply like to complain. If you want to complain I suggest you either take the exam, help grade it or in some other way help to improve it. Otherwise bite your lip.